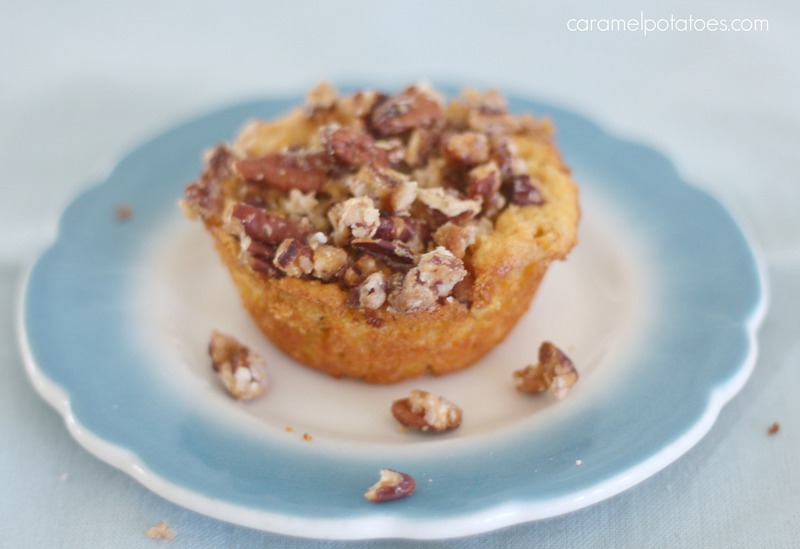 If you’re looking for and loving the taste of fall, these Sweet Potato Muffins with Candied Pecans are going to be your best friend. 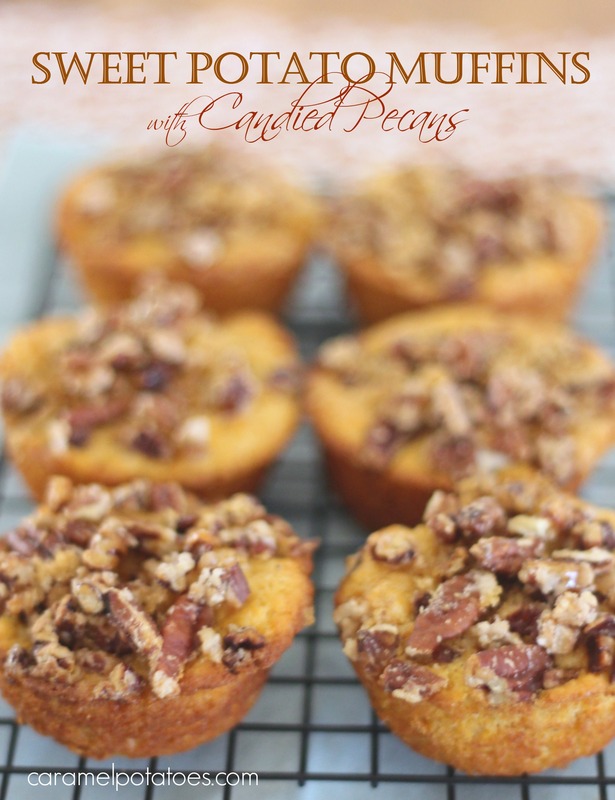 These muffins are loaded with the taste of sweet potatoes and topped off with toasty, candied pecans. Make the for a weekend breakfast or for the holidays – you’ll love them! To make the Candied Pecans: Place 1 cup chopped pecans and 3 tablespoons sugar in a large nonstick skillet over medium heat. Cook, stirring constantly, until sugar is dissolved and nuts start to caramelize. Remove from heat and let cool. To make the Sweet Potato Muffins: Preheat oven to 375 degrees F. Grease or spray two 12-cup muffin tins. Cream the butter and the sugar, add eggs, and beat. Add the cooked, mashed sweet potatoes. In a separate bowl, combine flour, baking powder, salt, and cinnamon. Add gradually to creamed mixture, alternating with milk; end with dry ingredients. Do not over mix; batter should be lumpy. Fill muffin tins to 2/3 full. Sprinkle batter with sugared walnuts and top each filled cup with a teaspoon brown sugar. Bake 20 to 23 minutes. 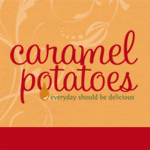 Hi Kyra, Love your site. On this recipe for sweet potato muffins, is 4t of baking powder correct? Yes Linda it seems like a lot but it is correct! Hope you love them!